A BAN ON ELECTRIC FISHING IN OUR WATERS BEFORE 2021? Seis mil millones de euros ¿para proteger o para destruir el oceano? Sei miliardi, per proteggere l’oceano o per distruggerlo? Six billion euros to protect or to destroy the ocean? VITTORIA: La pesca elettrica diventa illegale in Europa dal 2021! ! European negotiations on electric fishing suspended! Electric fishing: will artisanal fishers be betrayed? Will the WTO succeed to bring world fisheries to sustainability? Open governement in France: an empty promise ? International ocean governance – What the fish? 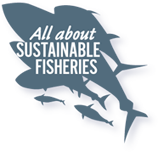 A European eco-label for aquaculture and fisheries products? “Miss Bio Contest 2014” vote for Claire Nouvian and help BLOOM raise funds ! The “truth” of Intermarché on deep-sea fishing … And that of Monsanto on GMOs too? IF EUROPE ADOPTS THE PHASE OUT OF DEEP-SEA BOTTOM TRAWLING, WILL JOBS BE LOST? Why should you care and mobilize for the Deep Sea ? WHY DID QUOTAS FOR CERTAIN DEEP-SEA SPECIES DRAMATICALLY INCREASE IN NOVEMBER 2012? Creation of “The Shark Squad”, an educational musical with large puppets. THE DEEP exhibition gains an educational section on shark extinctions and deep-sea bottom trawling, curtesy of Bloom. A didactic, 26-pages-long booklet on the marin environment has been distributed to 60 000 students in Hong Kong. Deep-sea bottom trawling is a scandal! I support BLOOM in their effort to stop this aberration!